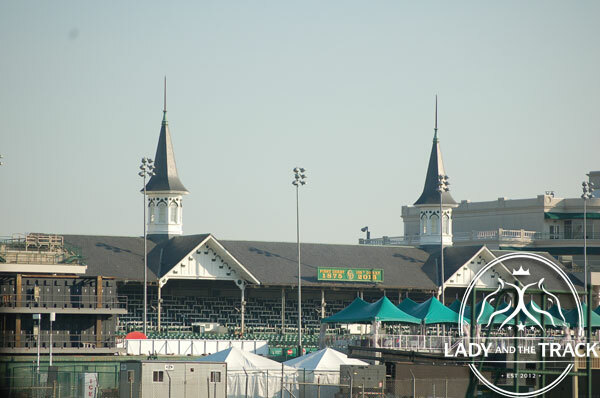 Kentucky Derby Travel Tips; Top Five Churchill Downs Photo Ops: Ask casual or non-racing fans to name at least one famous racetrack in the United States, and Churchill Downs is certain to come up often. 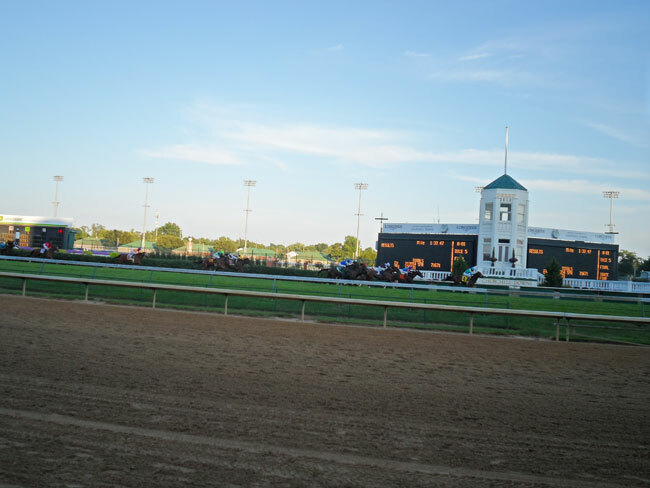 Located in Louisville, Churchill Downs stands as a long-lasting gem that hosts the Kentucky Derby each year, and visitors can immediately feel the history when they step inside. Be sure to take pictures, starting with the suggested photo ops listed below. As beautiful as the architecture is at Churchill Downs, the main point of visiting a racetrack remains watching horses race. 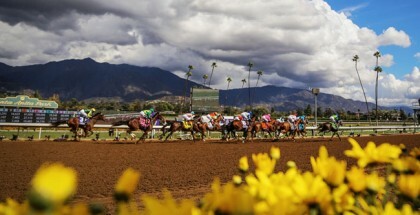 According to Dana Steidle, a racing fan once featured on the Paulick Report, “There’s something magical that happens when you hear the sound of the horses’ feet on the ground. It makes everything seem so much more real and exciting. When you see the horses up close and in person, you can see how much power they really have.” Capturing that moment in a photo only seems appropriate. 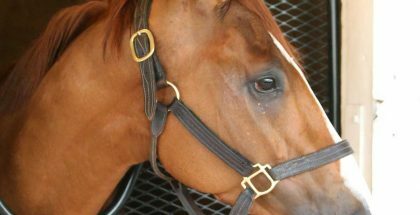 As beautiful as the architecture is at Churchill Downs, the main point of visiting remains watching the horses. 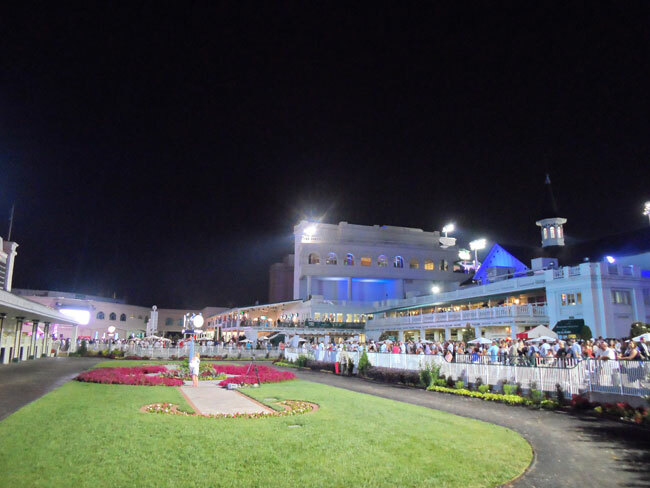 Before any Churchill Downs race, horses take a spin in the walking ring (redesigned in 1987), giving fans a chance to admire or handicap them physically before they enter the racetrack. Architect Andrew Jarvis “was able to align the center of the walking ring with the easternmost spire, on the clubhouse side of the track. 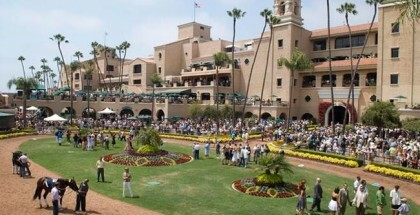 Thus, the paddock area serves as a visual base for one of the spires” (source). In addition, this part of the pre-race ritual offers a chance to take close-up photos of star horses with the jockeys. When they leave, the place resembles a quiet garden. 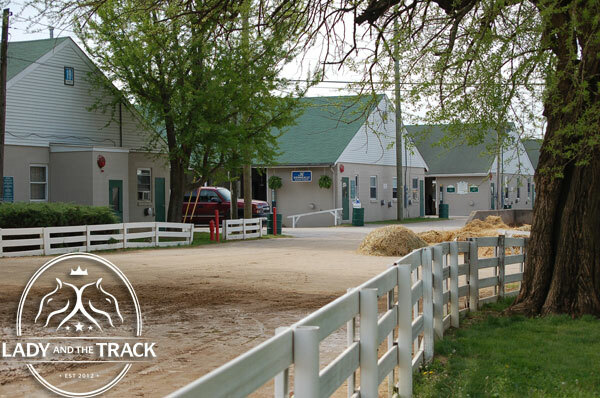 Before any Churchill Downs race, horses take a spin in the walking ring (redesigned in 1987), giving fans a chance to admire or handicap them physically before they enter the racetrack. 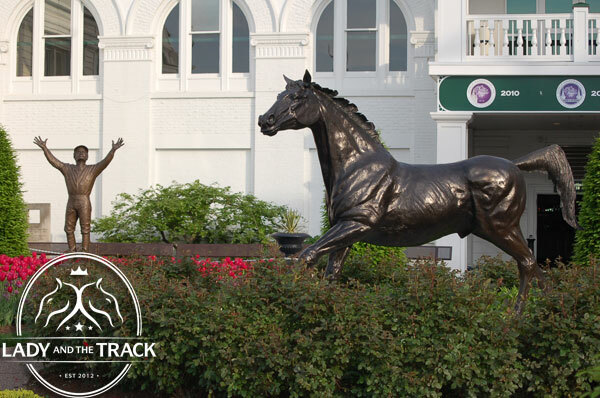 Located in the paddock gardens, the Aristides statue gives fans a chance to remember the 1875 Kentucky Derby winner. Aristides’s story is a great one, too, as his Wikipedia page indicates he was not supposed to win: “McGrath expected the smaller speedball Aristides to be the ‘rabbit.’ He was to go out front fast and force the pace …” Aristides just kept going and won. 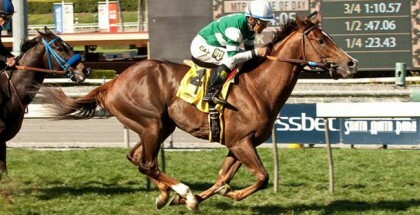 As for the Pat Day statue nearby, he rode 1992 Kentucky Derby winner Lil E. Tee and had a Hall of Fame career. Be certain to get them both in the picture.